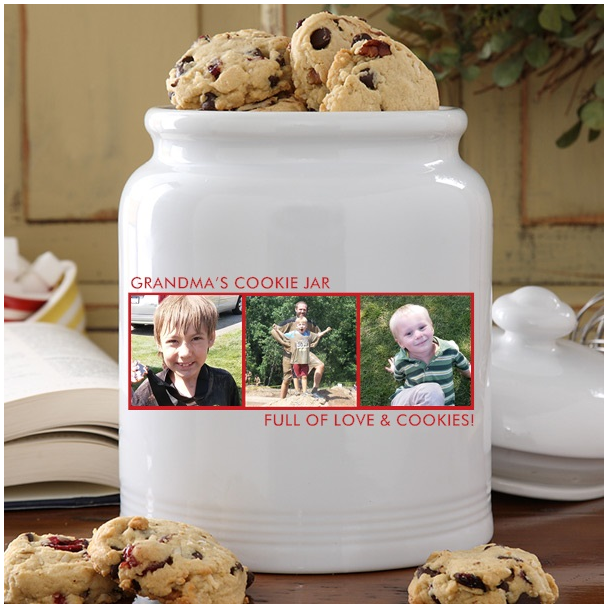 grandma's cookie jar: Eight Days to Go! You have eight more days to share your favorite cookie recipe in grandma's cookie jar Cookie Recipe Contest! So far three of you have recipes - thank you! I'm quite sure more than three of my readers have a favorite cookie recipe . . . please share your recipe! It is very simple to enter this contest . . . Choose a favorite cookie recipe. Copy and paste it in the comment area below. This is all there is to it! If you do this, your recipe will be entered in the contest and if your recipe is the winning recipe after we all vote, you will receive your own photo cookie jar from Personalization Mall! Easy to enter. Fun prize. Great way to discover new favorite cookie recipes . . . what is there to lose? With all the new favorite cookie recipes, we all will win . . . and so will our families as they enjoy the cookies we all will be baking! Please share your favorite cookie recipe today . . . and please let your friends with favorite cookie recipes know about the contest, too! You have eight days . . . the contest closes on October 18, 2017 and then the voting will begin!